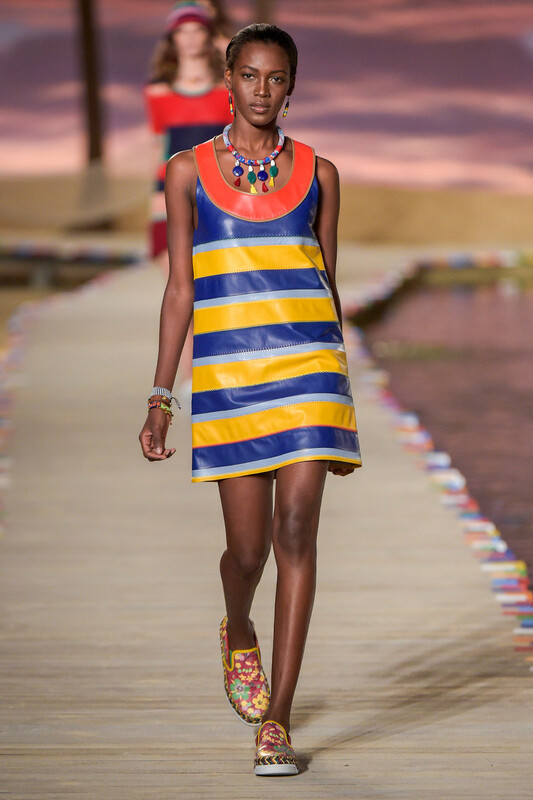 At Tommy Hilfiger we sat back and relaxed while the designer took us on a trip to the Carribean. 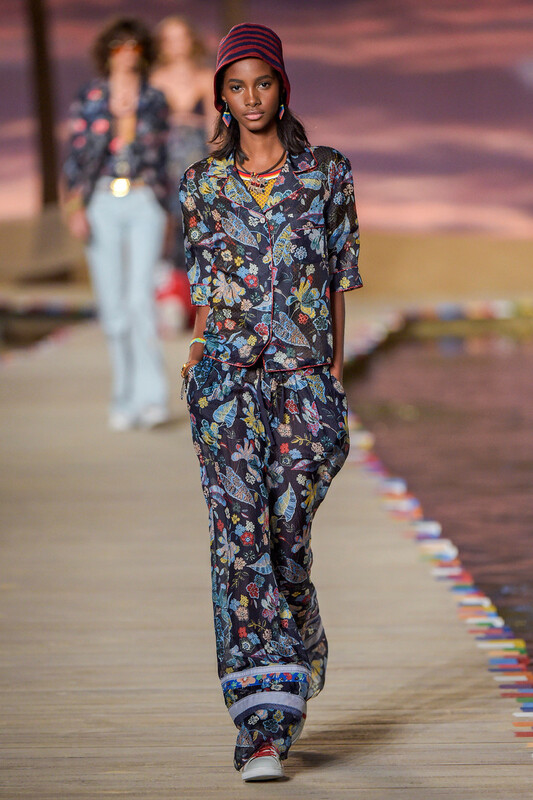 He recreated the turquoise waters of Jamaica and the sand beaches of Mustique as the backdrop of his catwalk. 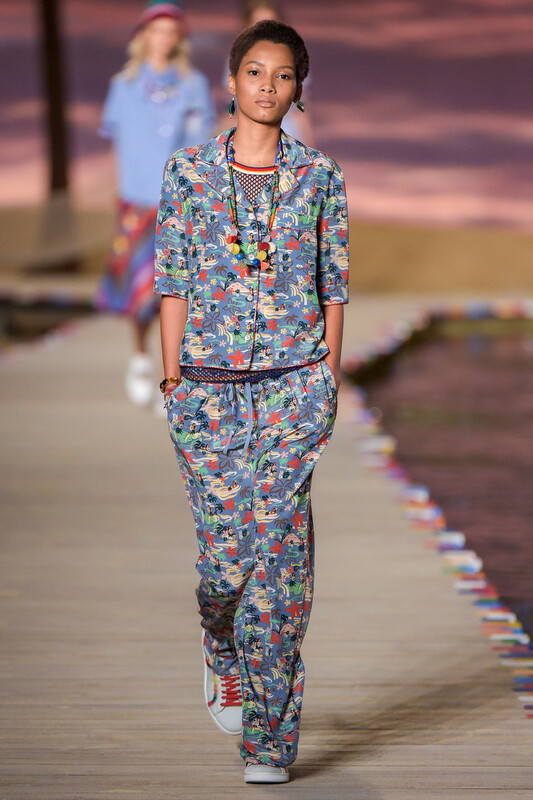 So his tropically, hippy-ish dressed models walked along the beach. 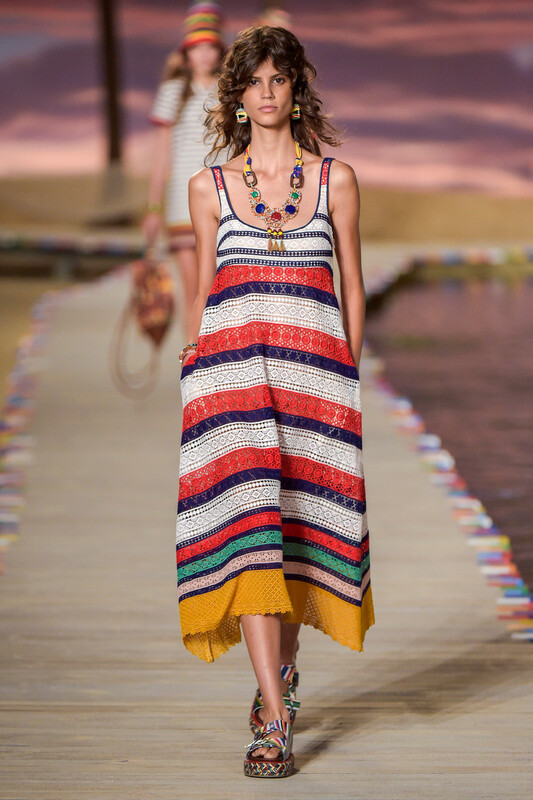 Hilfiger’s signature American sportswear perfectly worked together with the island life dress code. Billowing dresses sport lush flora and fauna patterns, while tropical hued patchwork and vibrant stripes energize sundresses and separates. Denim jackets and chinos are faded for a loved effect and accented with beaded tapes and whip stitched borders. The traditional cricket sweater reinvented in homespun crochet, polos done in netted mesh, and oxford shirts personalized with embroidered eyelet. Roomy beach totes and layered espadrilles, colorful jewelry to top it all off. The holiday theme might have been a bit overdone every now and then and we’re not sure if those knitted bikini’s will take off, but the designer’s aim to reach out to a new generation of globetrotters might just work out. Island hopping ended with a splash as all models paraded through the water for the show’s finale.